It’s lunchtime, you’re hungry, and you just can’t figure out the best griddle temp for grilled cheese. Does that sound like a disaster? Before giving up hope, check out this guide on how to achieve the perfect temperature for your heavenly grilled cheese sandwich. Suggestions about the best electric griddle will be thrown your way in order to help you decide on the perfect way to make your masterpiece. Want further inspiration? 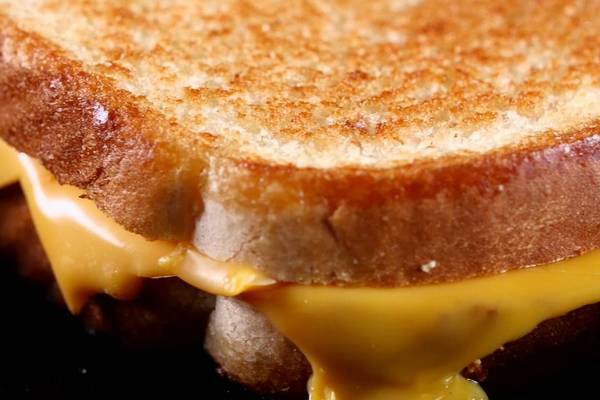 Keep on reading to find a delectable and easy grilled cheese recipe to satisfy your stomach. 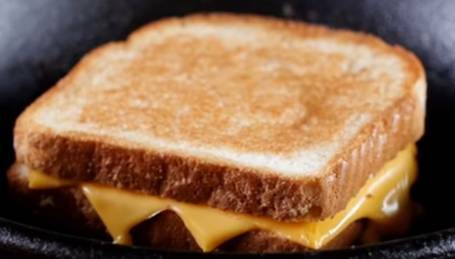 What is the Best Kind of Griddle for a Grilled Cheese Sandwich? There’s quite the debate concerning the absolute best electric griddle on the market. Professional chefs prefer the Presto Liddle Griddle, which has great surface space, a consistent cook time, and no messy clean-ups afterward. It’s the griddle of any grilled-cheese-eater’s dreams! When it comes to grilled cheese sandwiches, it’s all about the flip. Being able to easily flip your bread from one side to the other can make or break the strength of your grilled cheese. Something like the Presto Liddle Griddle provides plenty of room for you to get your flipping skills right. This type of griddle is similar to a breakfast griddle, with a smooth, flat grilling area. While some at-home chefs prefer the panini press, many have found that the flat breakfast griddle is the best for making the perfect grilled cheese sandwich. So...What is the Best Griddle Temp For Grilled Cheese? The math has been calculated, and the results are in. For the perfect grilled cheese sandwich, you should set your electric griddle to 275 degrees - Fahrenheit, that is. If you have an electric griddle, it should be really easy to adjust the temperature to the way you want it. Otherwise, you can use a saute pan and keep it at a low-to-medium heat for the best effect. Make sure not to turn it up high, or you’ll burn your precious bread! Now, how exactly do you make the perfect grilled cheese? Don’t worry, this recipe will not only guarantee a perfect sandwich, but it will guarantee an easy and simple set of instructions as well. You don’t need to have any technical chef training to master this dish. The power is truly in your hands! 1. Start off by spreading a good amount of butter on one side of each slice of bread. Make sure to cover the whole side with butter, so that it will cook evenly across the surface. Having a decently thick coat of butter will give your bread a nice crunchy, fried texture. It will also prevent your bread from burning or becoming too dry. 2. Once your slices are buttered, flip them over to the non-buttered side. Add several slices of your favorite cheese to the top of the bread. The slices should be between ⅛” and ¼” thick for the perfect consistency. It’s okay to layer the cheese a little bit though - that just makes eating it all the more satisfying! 3. Close up the sandwich by placing the other slice of bread on top. Keep in mind that the buttered sides should both be facing outward. Then, you’re ready to grill it! Keep your stainless steel electric griddle at a constant 275-degree temperature for the perfect cook. A low temperature and a slow cook will guarantee the perfect grilled cheese sandwich. You may be tempted to push down on the bread to help the cheese melt along, but leave it alone - unless you like flat sandwiches. After each side of the bread is golden crisp, and the cheese in the middle has melted so much that it oozes out of the sides, your beautiful sandwich creation is complete! Now the last part of the instructions is very important: Enjoy! Make Grilled Cheese Sandwiches For All Your Friends!